There are a ton of events happening in the Boulder/Denver area on Monday to celebrate the life of Dr. Martin Luther King, Jr. and to honor his memory. Denver will hold its annual Marade (one of the biggest MLK Day parades in the United States), Boulder will be hosting a variety events as well as a talent show, and Lafayette will be holding it’s annual peace parade. Civil Rights Leader Martin Luther King, Jr.’s legacy is commemorated in Denver with what has grown to be one of the largest MLK Day celebrations in the U.S. — even larger than that of Washington D.C. Among the local events set to honor Dr. King is the annual Marade, on Monday, January 21 (held rain, snow or shine). The marade (a combo of march and parade) starts at E. Colfax Ave. (at Columbine) south of City Park. Participants march west along Colfax, ending three miles later at Civic Center Park’s Greek Theater.The event is preceded by a 9:30 a.m. program honoring Dr. King at the I Have a Dream Memorial, with the actual walk stepping off at about 10:35 a.m. The Dr. Martin Luther King, Jr. program immediately follows the Marade, in Civic Center Park’s Greek Theater. Festivities should run until about 1 p.m. This FREE event starts at E. Colfax and Columbine. Parade viewers can see the marchers along E. Colfax between Columbine and Civic Center Park. Festivities after the marade will be held at the Greek Theater in Civic Center Park. Don’t miss the first ever Martin Luther King Day Talent Show of Boulder, presented by Kenneth Flowe and KGNU, benefiting the “I Have a Dream” Foundation of Boulder County. Celebrate diversity, enjoy live entertainment, and check out local vendors. The talent show will be held at the Avalon Ballroom, 6185 Arapahoe Rd, Boulder, CO 80303. Tickets $18, available here. 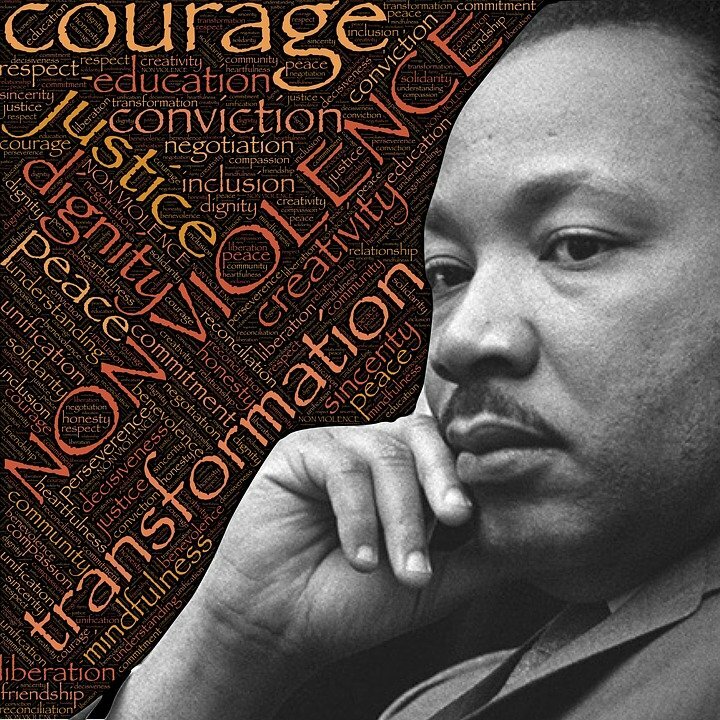 Join community members of all ages as they celebrate the life and legacy of Dr. Martin Luther King, Jr. during the City of Lafayette’s 14th annual MLK March for Peace and Celebration on Monday, January 21. The event will commence with a pre-march celebration, featuring a welcome by Congressman Joe Neguse, live entertainment, refreshments, and service projects at Angevine Middle School (1150 W. South Boulder Rd.) at 11:00 a.m. The March for Peace will follow at 12:30 p.m. with departure from Angevine Middle School’s north parking lot. The march will conclude at City Park (behind the Bob L. Burger Recreation Center, 111 W. Baseline Road), where culminating activities will be held. A shuttle will be available to transport community members back to Angevine after the March for Peace. FREE and open to the public, this event is brought to you by the Lafayette Youth Advisory Committee with support from the Empowerment Center of East County and the local faith-based community. When: Monday, January 21 with various events being held throughout the day, full schedule here. Boulder is celebrating Martin Luther King Jr. Day by holding a variety of events. The Boulder Chapter of the NAACP will be presenting films of Dr. King’s speeches. Rocky Mountain Peace and Justice will be holding a rally & march. Showing Up for Racial Justice will be holding a workshop called “Systemic Racism Today”. Among the events is a gathering on the CU campus to remember the life of Dr. Martin Luther King, Jr. and to encourage all people to live into his legacy with the Hon. Gary Jackson as keynote speaker. For the full event schedule with all the details, click here. These FREE events are happening all over Boulder.